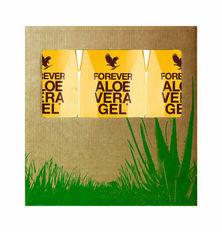 Forever’s classically pure aloe vera gel. This is the standard by which all others are judged. Our Forever Aloe Vera Gel is made of 99.7% pure inner leaf aloe vera gel to help support your digestive system and assist in nutrient absorption. Warning If you are pregnant, breastfeeding, planning pregnancy, taking any medications or are under medical supervision, please consult a doctor or healthcare professional before use.